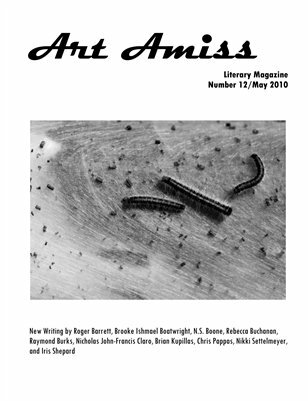 The literary magazine of Art Amiss, Inc. is published twice yearly. Submissions of poetry, fiction, creative non-fiction, drama, and literary translation by authors from or residing in Arkansas are accepted throughout the year. Art Amiss, Inc. is a not-for-profit art collective based in Fayetteville, Arkansas, and was created with the express purpose of providing services for artists living in, working in, or from Arkansas.